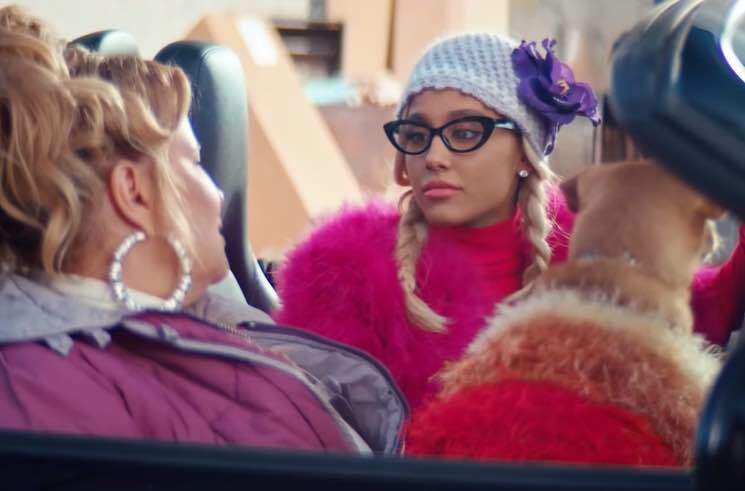 Ariana Grande's "thank u, next" basically broke the internet with its nostalgic nods to iconic chick flicks, and while we've already seen a behind-the-scenes clip, the singer has now unveiled a deleted scene and the blooper reel. The new video opens with a deleted scene that sees Grande and Jennifer Coolidge reenacting a bit from Legally Blonde, before descending into giggles and flubbed lines in a series of bloopers. Watch the silly scraps from the cutting room floor down below. As previously reported, Grande just released "thank u, next" and "imagine" on vinyl, and she'll embark on the "Sweetener World Tour" and two Coachella headlining spots this spring.